I had my biggest day of the season (so far) at Whitefish Point on the 5th. A great diversity of ducks moved by in big numbers and Red-necked Grebes had a big day (especially, given the late date). 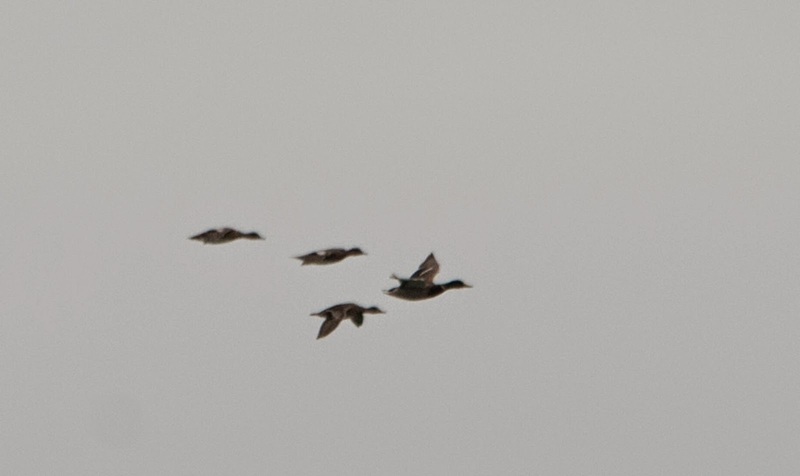 Scoters had their biggest day of the season; over 500, of all three species, were seen. Red-necked Grebes had one of their best days of the season with a total of 1885. This species peaks in late August/early September so having a big day in October was great. 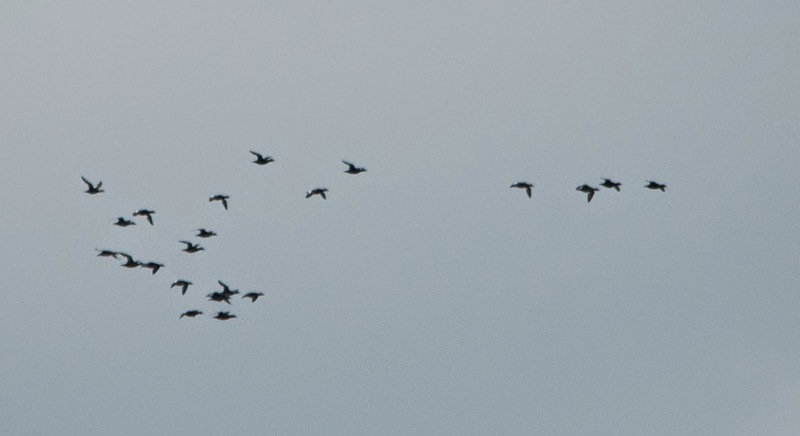 A high-flying flock of White-winged Scoters. A mixed-species flock of scoters. Songbird migration has also been impressive over the last couple weeks. Most warblers are through at this point but sparrows are moving through in big numbers. In a single sweep of the feeders, I counted over 75 White-crowned Sparrows. There are also large numbers of juncos, kinglets, and Hermit Thrushes. Hopefully, it is just a matter of time before something unusual shows up.